The Polycom IP 6000 is an advanced IP conference phone that delivers superior performance for small to midsize conference rooms. Polycom Trio 8500 SFB brings the renowned Polycom conference call efficiency tied to the accessibility of Skype for Business and brings it to the midsize conference room in a compact size that does not sacrifice quality. Polycom Trio 8500 brings the renowned Polycom conference call efficiency and brings it to the midsize conference room in a compact size that does not sacrifice quality. 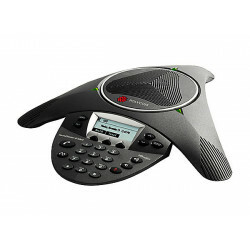 With a three microphone array, the Polycom Trio 8500 can pick up voices in 360° and as far away as 14 feet. Polycom's advanced audio technologies have HD Voice, and NoiseBlock ensuring your calls are crystal clear. 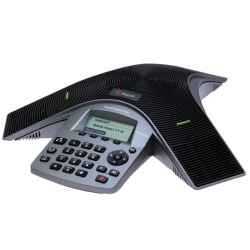 The 5” touch screen allows for ease of use for anyone who has experience with a cell phone and the SIP technology makes it available for an array of VoIP platforms. 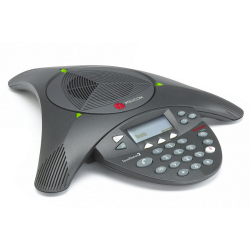 Polycom VoxBox sets a new standard in ultra-compact speakerphone performance. 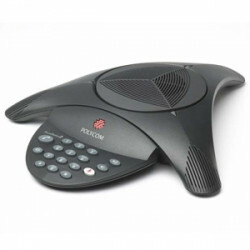 Now you can experience the legendary conference quality of Polycom anywhere, anytime, and interact with more devices. VoxBox Speakerphone for PC/Mac-based UC softphone applications and mobile devices with built-in Bluetooth 4.0 and USB 2.0. Ships with a carrying case, 1.2m/4ft USB Cable and 3m/10ft USB with security loop. RealPresence Trio 8800 is a smart hub that takes group collaboration to the next level, offering users the ability to not only hear enhanced HD Audio, but to also see and share video in high definition. The RealPresence Trio 8800 takes the term video and audio conferencing out of the picture and brings in group collaboration, for improved teamwork performance. 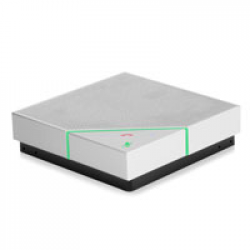 The RealPresence Trio 8800 is a smart hub that takes group collaboration to the next level, offering users the ability to not only hear enhanced HD Audio,but to also see and share video in high definition. The RealPresence Trio 8800 takes the term video and audio conferencing out of the picture and brings in group collaboration, for improved team work performance. 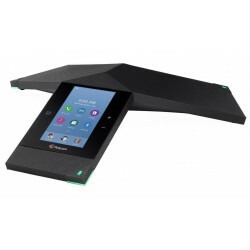 The Polycom SoundStation Duo is an IP conference phone for small to medium sized meeting rooms that will work in both an IP or an analog phone setting. 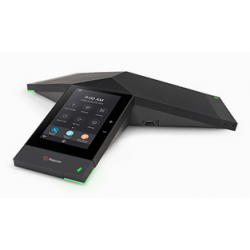 The Polycom Soundstation 2 2200-15100-001, Polycom's next generation conference phone, is redefining the standard for business quality voice conferencing. With industry-leading full duplex for natural, simultaneous two-way conversation, the SoundStation2 will exceed your expectations in medium to small conference rooms. 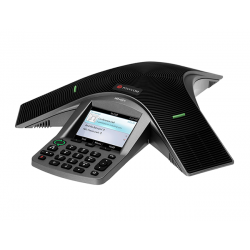 The Polycom Soundstation 2 EX 2200-16200-001, Polycom's next generation analog conference phone, is redefining the standard for business quality voice conferencing. With industry-leading full duplex for natural, simultaneous two-way conversation, the SoundStation2 expandable with display will exceed your expectations in medium to small conference rooms.